First of all, we would like to wish you a very Merry Christmas and a Happy New Year. This week we will have a double review. This is the first instalment of the review. 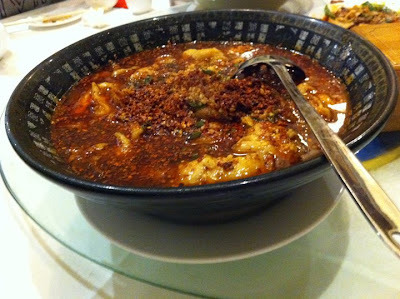 For the first one, I take you to the world of chili, or in this case, Red Chilli Sichuan (or Szechuan). Located at the heart of Chinatown, this restaurant was recommended by our friend. 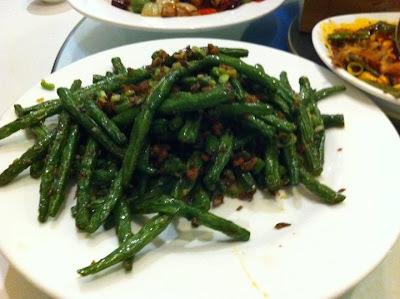 Upon glancing the menu, we knew that there were not many non-chili dishes.As with any other Chinese restaurants, the dishes’ names are loosely translated or just a list of what was in them. 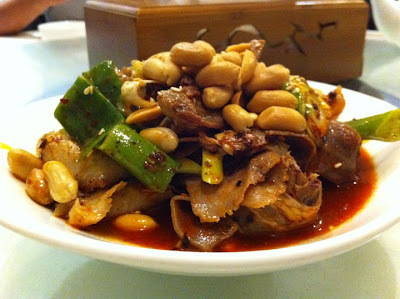 Without further ado we start with the appetiser, Sliced beef, beef tongue, tripe and chilli sauce. Pre-boiled-then-chilled meat was immersed in chilli sauce. 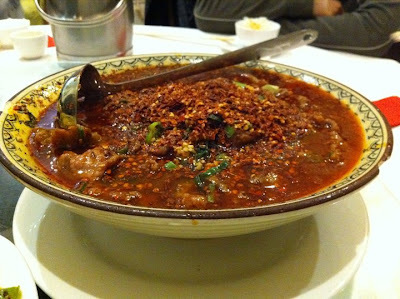 It was a nice intro to the chilli night and this one was not too spicy. The next two dishes had the same attributes, except for the main ingredient. One was Hot pot beef with hot and spicy sauce and Chinese cabbage and the other one was Hot pot fish fillets. Although the pictures can’t really show, these two dishes were gigantic. For chilli lovers, I think they’ll be in heaven with this dish. The soup was literally a chilli pot. In my opinion, it was just too much: too much chilli and too big of a portion. The next dish I couldn’t taste because there was an element of pork in it, although we specifically said to the waiter that we didn’t eat pork. I guess the poor underpaid girl didn’t really care anyway. It was Stir fried green beans with pork mince. 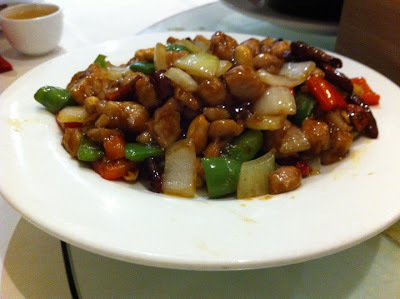 Two of the better dishes of the night came in last, westernised Kung Pao Chicken and Crispy Ducks. 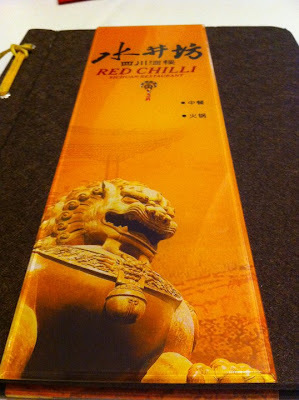 The chicken was an ok dish with some element of chilli in it. The crispy ducks on the other hand were great. They were fried to golden brown with extra crunchy skin. It was served with a nice brown sauce. The final verdict: Another restaurant that I wasn’t fancy because of the super hot dishes. In addition to that, the service that we received was too similar to any cheap Chinese restaurants in Sydney, even when it charged a premium pricing. The only exception to it was the duck. It was very clean and crispy. 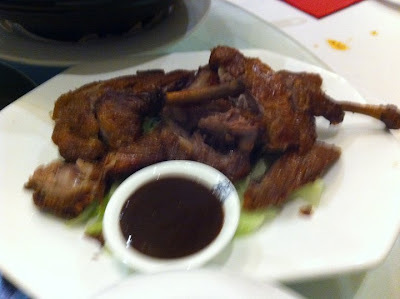 It reminded me of how ducks are cooked in Indonesia. When trying to find the website for this restaurant, I found out that it was part of a restaurant chain around Sydney.